Cozy helps you find quality tenants by screening them with detailed credit reports and background checks. You can require screening reports as part of the application, or request reports directly. 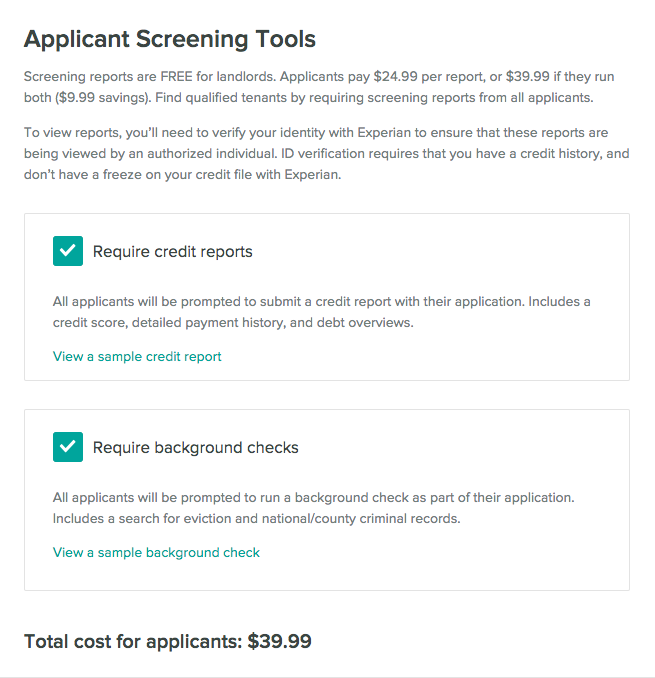 Either way, applicants pay for all screening reports, and those cost $24.99 for one report or $39.99 for both a credit report and background check. If you’d like to require screening reports with every application, check those boxes when you create your Cozy listing. To request screening reports directly from potential tenants, you'll just need their name and email address. Here, you'll choose your screening method and provide your applicant's name and email. We'll email the applicant to let them know you've requested a screening report, and once they share it with you, we'll let you know. 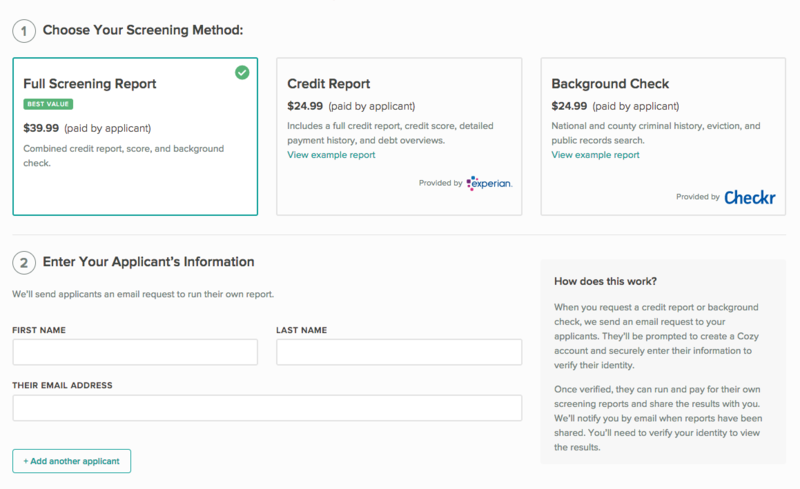 Learn what's searched for in a background check, so you can have peace of mind. View a sample credit report and learn about what’s included. Learn how to find quality tenants with The Landlord’s Guide to Tenant Screening.